Sometimes it’s the simplest things in life that cause the most problems. From how to unstick a jar lid to how to set up voicemail, sometimes we need a little help. Here are some great hacks for making your life easier. Not every smartphone works the same way. 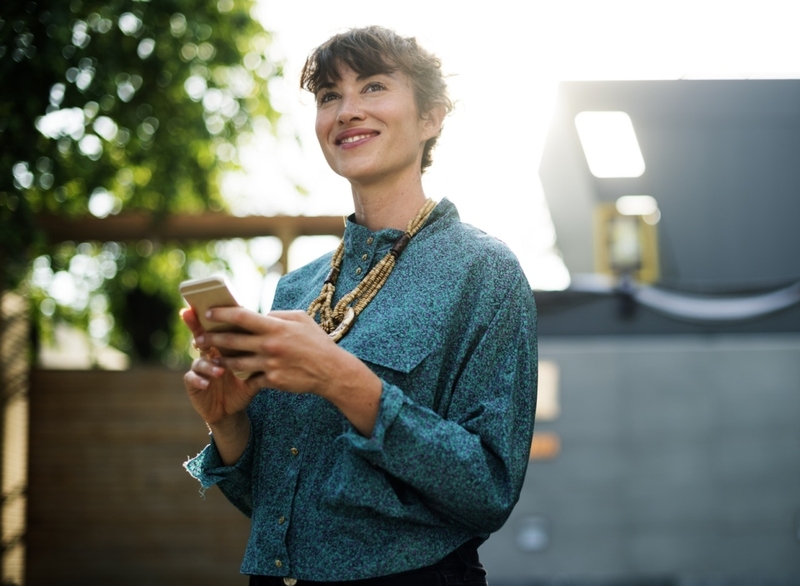 But with an easy trick, you can set up voicemail on any phone, iPhone or Android. First, press and hold the number 1 on your phone. This will automatically take you to voicemail. Enter a password if prompted (usually the last four digits of your mobile phone number). Then set up your own password when prompted. Next, record your greeting and you’re done. This trick works for all phones no matter the make or model. Need your SIM card but don’t have an ejector tool? Simple — bend a small paper clip until it’s sort of straight. Then, insert one end in the small pinhole at the top of your device. The SIM card tray should pop out easily. Here’s an easy trick for making phone speakers louder. Put your phone in a drinking glass or mug and amplify the sound. It’s an instant speaker for your smartphone. 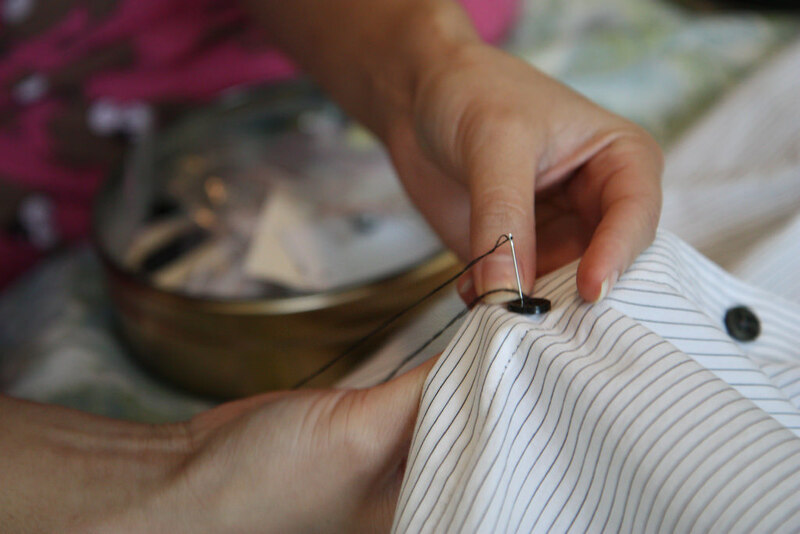 If buttons fall off your clothes often, put a little dab of clear nail polish on the top of the stitches to prevent the thread from unraveling. Need wrinkle-free clothes quickly, but ironing is not your thing? Hang the clothes in the bathroom when showering and let the steam release the creases. If not taking a shower, damp the clothing slightly and use a hair dryer to get rid of the wrinkles. Need clothes dried quickly? Roll up the needed piece of clothing in a dry towel. Then twist the towel as tightly as possible, wringing out any extra moisture. After that, either place the item in a clothes dryer or hang it on a clothesline. This cuts off a lot of drying time. If the climate is rainy or snowy where you live, waterproof your everyday canvas shoes. Buy beeswax and spread it all over your shoes. Then, use a blow dryer and melt the beeswax until it no longer shows. Let it cool and your shoes are now waterproof. To loosen tight shoes, stuff them with wet newspaper. Stuff it in as tight as you can and let dry. Then remove the newspaper and your shoes will fit better. Keep homemade cookies fresh by putting a slice of fresh bread in your cookie jar. The bread absorbs the moisture and keeps the cookies nice and crisp. If you’re craving Cheetos but don’t want orange fingers, use chopsticks. This trick works well with other snacks that tend to leave residue on your fingers. For cooling drinks quickly, put soda cans in a bath of cold water, ice, and salt. Or, wrap them in damp paper towels and stick them in a freezer for a few minutes. Don’t forget to take them out of the freezer or there’ll be a big mess later. Another crazy trick — open stuck jar lids by running hot water over the top for a minute. Then wipe down the jar and open it. Soaking the jar in hot water causes a similar effect. Coke’s not just for drinking. Pour a can of Coke into the toilet bowl and let it sit overnight. Stubborn stains disappear the next day with a little soap and a flush. Unclogging a drain only takes hot water and a few items from the kitchen. As you run hot water down the drain, sprinkle a cup of baking soda then slowly pour a cup of vinegar into the drain. Next, run hot or boiling water one more time in your newly cleared drain. Shower heads are difficult objects to clean. Fill a plastic bag with white vinegar and use rubber bands to secure it around the shower head. Let it soak overnight and remove the bag the next morning. Everyone needs a break from time to time. Hopefully, these tips will make your life easier.